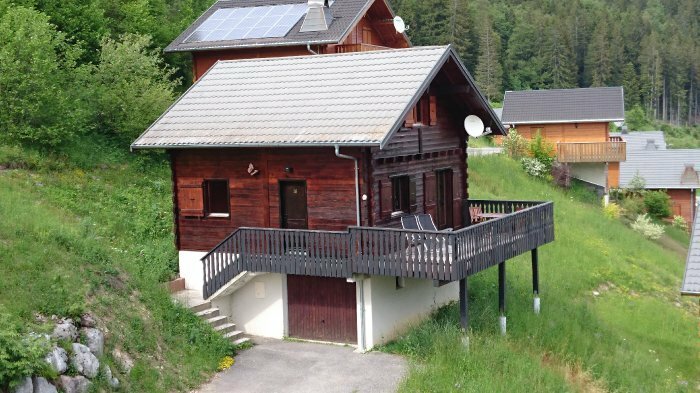 Description of Property: With stunning views of the Alps, this well presented chalet is the perfect mountain retreat, with the only sound being the cow bells down in the valley. The property has three bedrooms, two furnished as doubles, and one with four single beds. The living/dining/kitchen is open plan, with panoramic views of the mountains in all directions. There is excellent high speed broadband internet with WiFi connectivity. 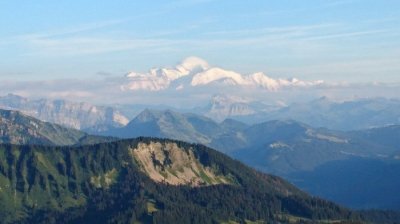 The chalet is in an excellent location for discovering the beauty of the Alps - not just in France, but also in Switzerland and Italy. 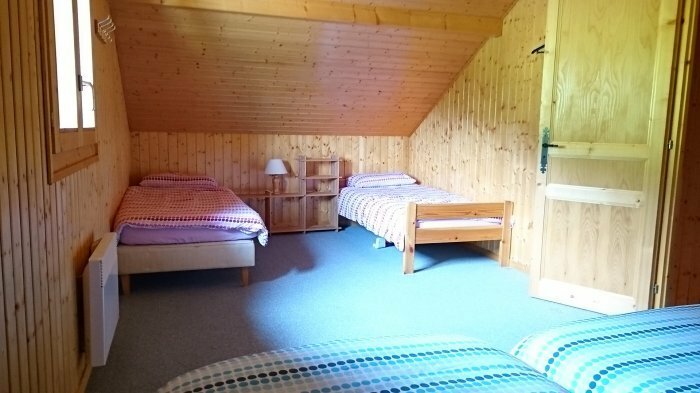 Outside Amenities: The Chalet has a large, south facing balcony, with chairs provided. There is a very large garage underneath the property and plenty of parking. Surrounding Area: Col du Corbier is a small village, high in the mountains. 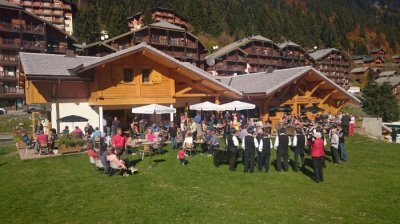 There is a restaurant/bar - La Corvagne- within walking distance, which serves excellent local specialities, including the fantastic local wines. 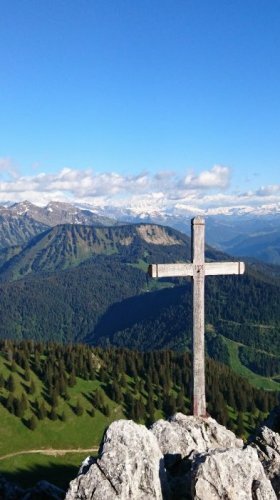 A 15 minute drive down the moutain will take you to the small town of Abondance, famous for it's cheese, where there is a small supermarket, several bars and restaurants, and many different shops, including the boloungerie, patisserie and boucherie. The area is well known for it's walking and mountain biking trails, with many beautiful alpine villages to discover. Geneva is an easy 1 hour drive (and the nearest airport). This vibrant city is easy to get around and has lots to offer. Mains water. Mains drainage. WiFi Broadband Internet Access. Television. DVD. Conventional oven. Microwave. Combined Fridge/Freezer. Washing Machine. Not suitable for children. No smokers. No pets allowed. Covered parking. Off-road parking. 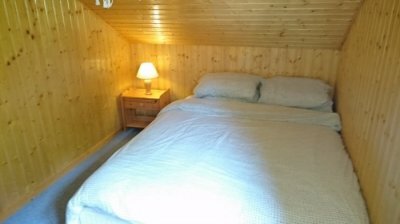 Pricing Info: All utilities (resonable usage) including wifi are included in the rental price. Deposit will be one and a half month's rent, plus one month in advance, payable by BACS.